Rolling hills covered with live oaks, green pastures and abundant wildlife characterize this 2680 acre ranch owned by Paul & Sylvia Johnson. Los Encinos ranch is located next to The King Ranch, 15 miles south of Falfurrias Texas in Brooks County.Los Encinos Ranch is one of the few ranches in South Texas covered by thousands of Live Oak Trees. There are also mesquite flats and open pastures with over 30 ponds which provide great habitat for the native species which include: Whitetail Deer, Rio Grande Turkeys, Javelina, Bobcats, and Coyotes. 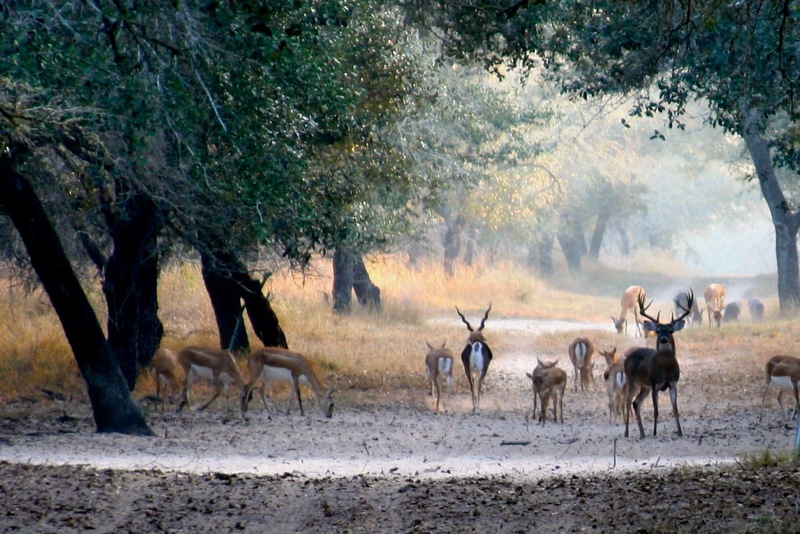 In addition, 350 acres have been set aside for exotic animals, including Axis Deer, Aoudad Sheep, Blackbuck Antelope, Fallow Deer, Scimitar Horned Oryx, Wildebeest, Gemsbok and Zebras. Ranch facilities include a ranch house along with a 7 bedroom, 5 bath lodge overlooking a 2 acre fishing lake, a lighted rifle range, large patio with campfire ring and BBQ pit.